It’s official. Breakfast at the Snooze Cafe is mandatory in Denver. And at 8am the line looks impressively long from my position at the back of it. 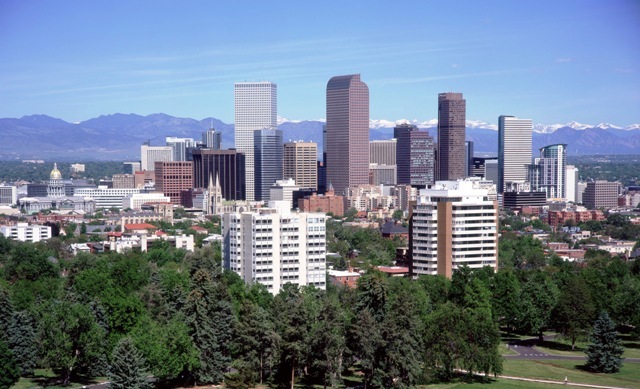 Denver has come a long way since the early gold rush days when it was full of prospectors and cowboys looking for a fortune in the Rocky Mountains. It’s now a city of culture and art, cool neighbourhoods and craft beers. 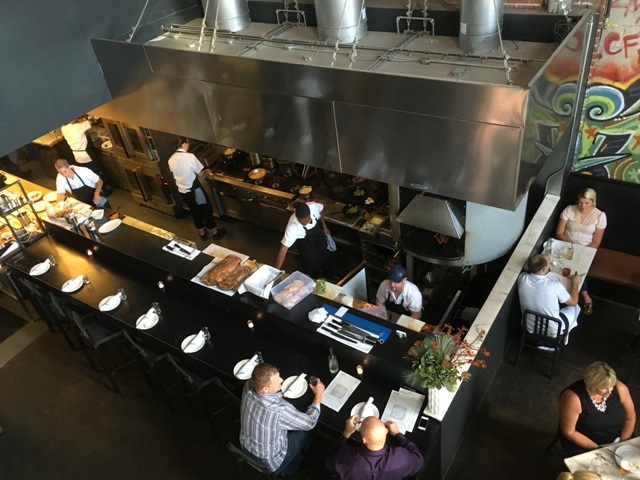 Denver is alive and kicking and to enjoy it properly, you need to know the best things to do in Denver. Denver is known as “the mile high city.” Technically, it is indeed 1 mile (5,280 feet) above sea level, and a sign on one of the steps of the State Capitol building marks the spot. However for many, it might be the legalising of marijuana for home use and perhaps the proliferation of happy weed stores that might be an alternative explanation. It certainly gives John Denver’s immortal song Rocky Mountain High new meaning. But, no matter which version you choose to align yourself with, there is no getting around the fact that the Rocky Mountains are both physically and spiritually part of Denver’s DNA. They somehow define Denver’s very existence. A permanent reminder of what brought people here. Sooner or later you’ll get around to taking a closer look, it’s what everybody does. 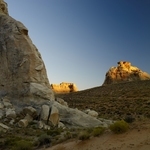 But in the meantime, as a great place to kick off a Colorado adventure, before Aspen, Boulder, Loveland and Colorado Springs, Denver offers a warm and welcoming hello and here are the reasons why. 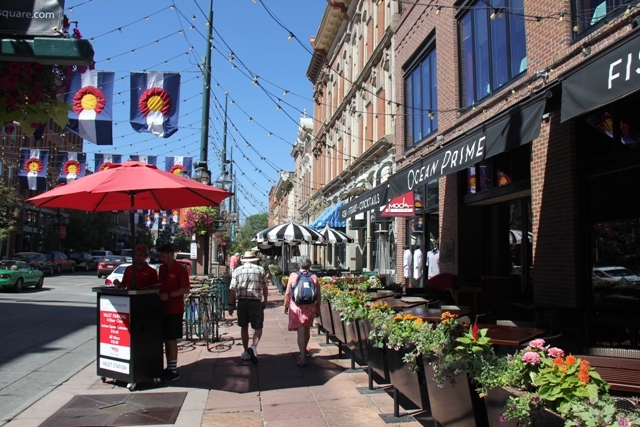 Denver’s lively downtown and lower downtown ( DOTO and LODO) is an easy area to stroll around. Dominated by the 16th Street Mall, at 1.25 miles, it’s easily the longest pedestrian-only street in the entire USA. Walking down both its tree lined flanks, I spot cafes, street performers and shopping opportunities from high end to weird and wonderful. The good news for anyone not able to walk or too laden with bags, is the free and very frequent shuttle bus. The Mall begins at historic Denver Union Station which is itself a remarkable building and well worth a visit. These days it’s also a renovated hub for eating, entertainment and shopping with the added bonus of the trendy Crawford Hotel and the aforementioned Snooze Cafe. If you look closely on the street just outside the Station House entrance, you’ll spot the 105th Meridian West Line, so go for it and straddle two time zones at the same time. 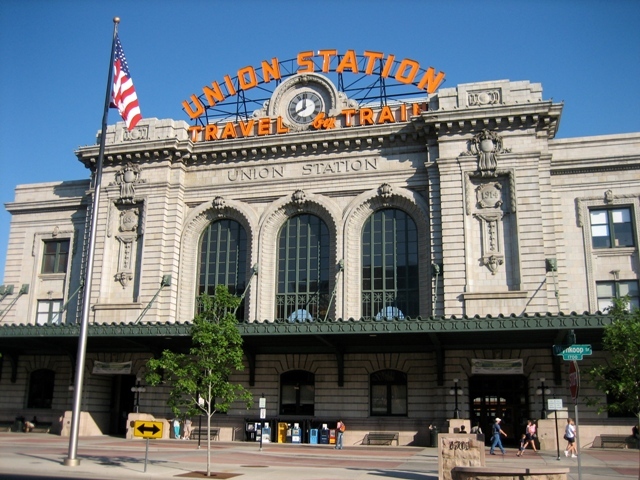 Denver owes its success to this very station, when in 1867 the new Transcontinental Railway shunned Denver for nearby Cheyenne, effectively cutting off the city from the nation. A group of enterprising businessmen raised enough money to build their own branch line to Cheyenne to connect up with the rest of the USA and the rest as they say, is history. 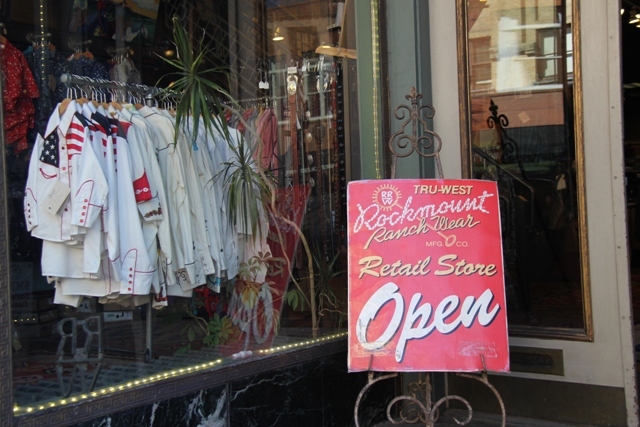 I walk from Union Station across the street to another of Denver’s landmarks, the world famous Rockmount Ranch Wear now run by Steve Weil, third generation owner of this iconic western shirt store. 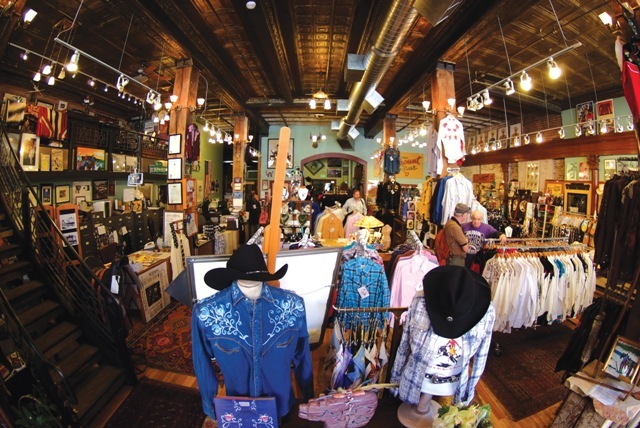 The store was started by his grandfather Papa Jack Weil in 1946 after he invented the snap button shirt and produced the first commercial bolo ties. Today the store has a glittering array of celebrity customers clamouring for his still hand-made shirts. Steve regales me with a story about how he hand delivered forty shirts to Eric Clapton in time for the Cream reunion gig at the Albert Hall in London. Just opposite, the Tattered Cover is the hippest book store I’ve ever been in. Not just thousands of books but comfy armchairs and excellent coffee and cake. Larimer Square is Denver’s trendy beating heart. A Victorian block stringed with glittering lights and stuffed full of cafes, restaurants clubs and of course plenty of people enjoying the warm summer evening. Perhaps I could try a prohibition-era cocktail at Green Russell, Larimer’s own speakeasy but I have a table at TAG for dinner, where owner-chef Troy Guard has built a popular following for his “cross-cultural” dishes. What he calls “social food”. I just call it very good. After dinner I pop into Ophelia, a former brothel but now selling its wares as a live music and restaurant venue. The emergence of the Wynkoop Brewing Company heralded the explosion of craft brewing in Denver. Perhaps we shouldn’t be surprised, as the owner of that brewery is none other than the state governor John Hickenlooper. Today there are over 100 microbreweries, pubs and tap rooms and twenty of them are all within walking distance of each other! Just download the Denver Beer Trail tour map and go on a tasting.walk. 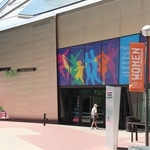 Denver’s museum district rocks! 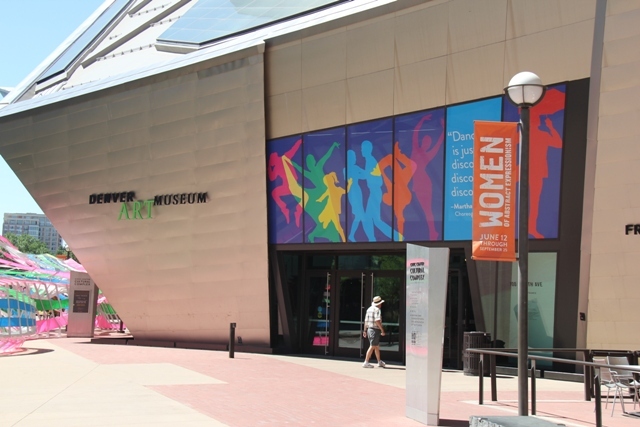 The Denver Art Museum is in fact not one but two buildings. With over 70,000 works of art inside, including a collection of American Indian art, considered the finest in the world. I’m personally drawn to the photographic exhibits up on level 7, but get diverted for a while by the temporary exhibition dedicated to female artist abstract expressionism. Talking of abstract expressionism, just behind the DAM lies the Clyfford Still Museum, celebrating the man who created the abstract movement. It showcases many of Still’s works that up to now have never been shown publicly. But this district is not just about museums. I walk into the Civic Centre Park and stumble across EATS, a lunchtime food fest every Tuesday and Thursday from a string of gourmet food trucks. 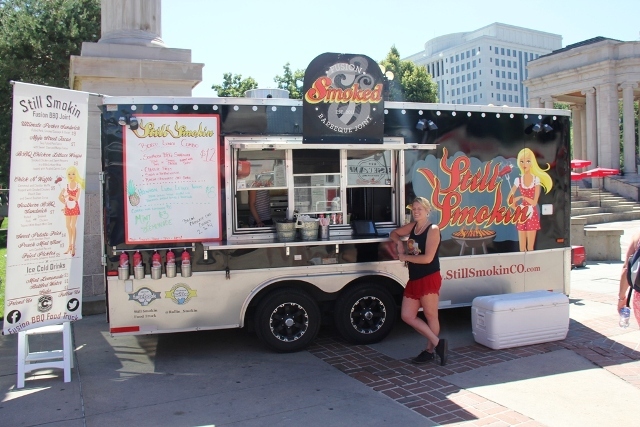 Cagney from Still Smokin’ stops me to sample a truly delicious pulled pork sandwich made with her grandma’s secret sauce. “She lent me the money for my first truck” says Cagney. Clearly, her grandma had excellent taste and knew what she was investing in. Denver’s latest neighbourhood. A little north of downtown a small collection of galleries inside former warehouses quickly blossomed into a diverse mix of art space, performance venues and super trendy eateries. Tucked away inside a former 19th century iron and brick foundry, The Source is an elegant artisan marketplace full of food, drink and art. Plenty of eclectic goings on here, from flower arranging and French baking to craft cocktails. Acorn is a very impressive restaurant looking even more impressive from my table high up on the mezzanine floor overlooking the open kitchen below. It’s no secret that good fresh food cooked well is always going to be a winner, and Chef Steven Redzikowski does exactly that. Even the menu is cool; it proves he changes it every week as mine has “week one hundred forty eight” emblazoned across the top. Any concert here is an awesome experience hard to match anywhere else. 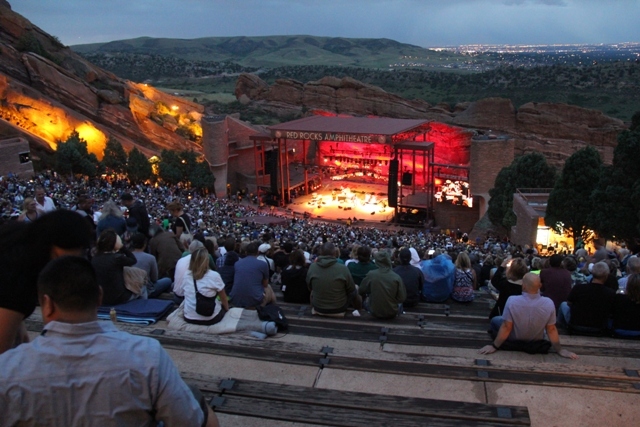 Huge red tinted rocks form a natural amphitheatre that offers an acoustically perfect performance space capable of seating 10,000 people. It is a unique natural wonder for sure. Millions of years in the making. but this year 2016, celebrating 75 years as a concert venue. You can wander around Red Rocks Park on concert free days, but tonight I am here to see Joe Bonamassa play British blues. Getting to Union Station from the airport is now even easier with the new Colorado A-Line train. A $9 ticket from the Transit centre will get you to downtown in under an hour. 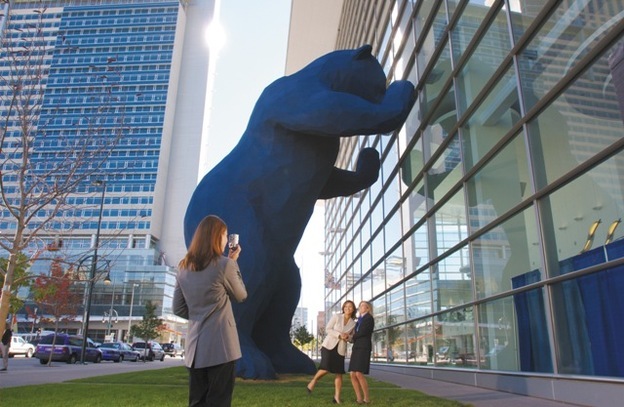 For a detailed insight into what to do and see in Denver go to VisitDenver or the official Colorado web site. Visit Denver neighbourhoods for a full run down on all of Denver’s diverse neighbourhoods. 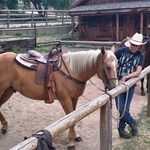 Out of town the Sylvan Dale Dude Ranch is an authentic cowboy experience just an hour’s drive from Denver in Loveland. Rooms from $229 per night.